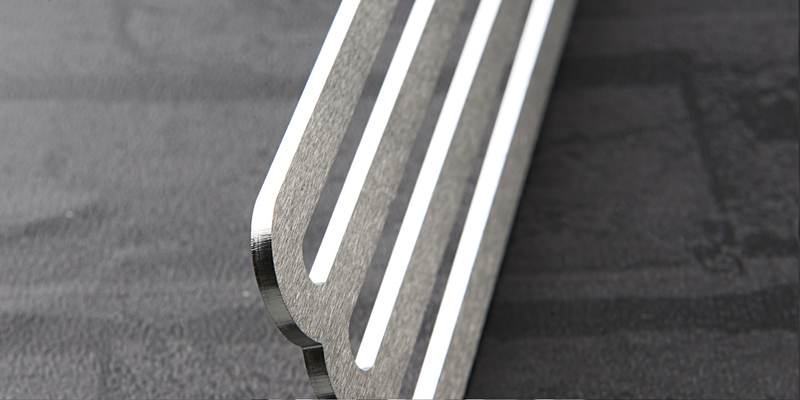 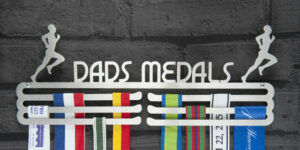 Triple Row Medal Hanger for your ever-growing medal collection: This Triple Tier Medal Hanger Display in Brushed Stainless Steel is the perfect medal display hanger for your ever-growing medal collection. 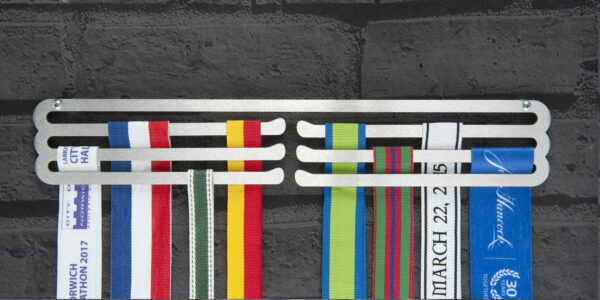 The simplicity of this display speaks volumes. 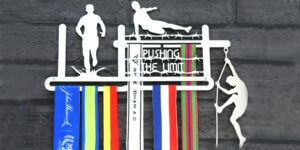 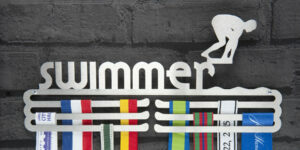 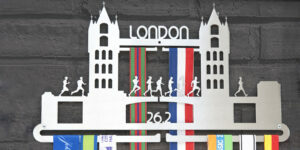 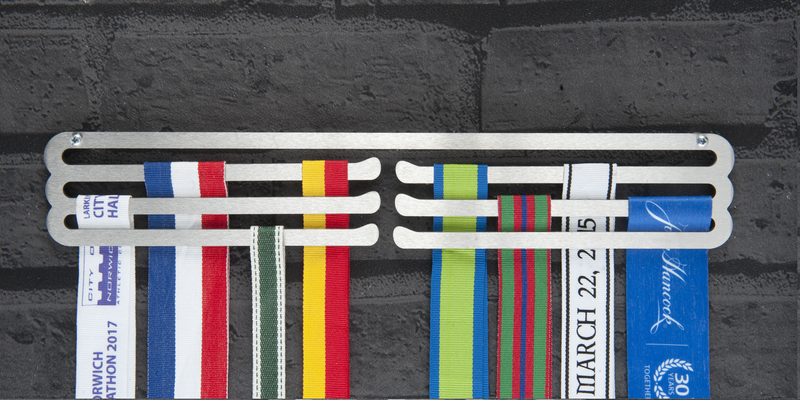 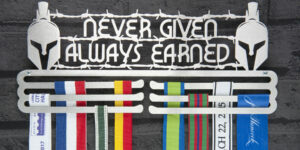 Whatever your sport, this medal display is perfect for you. 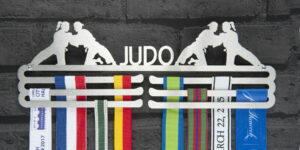 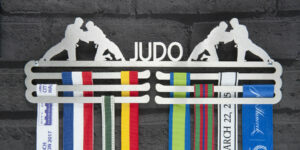 A great way to display your medals with the pride they deserve! 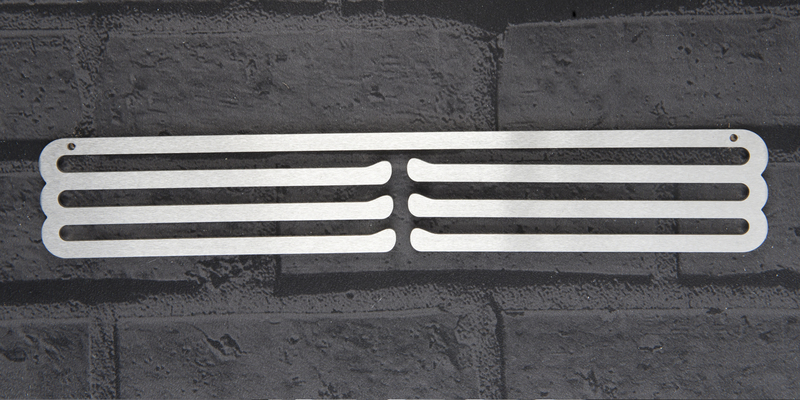 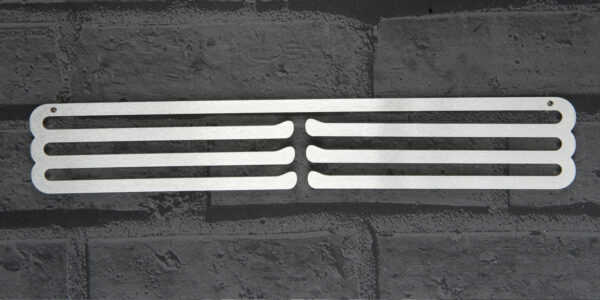 330 x 58 x 2mm. 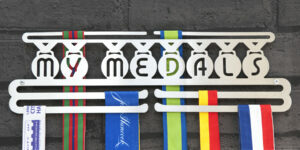 Can you used alongside any of our other medal display hangers to display more medals.